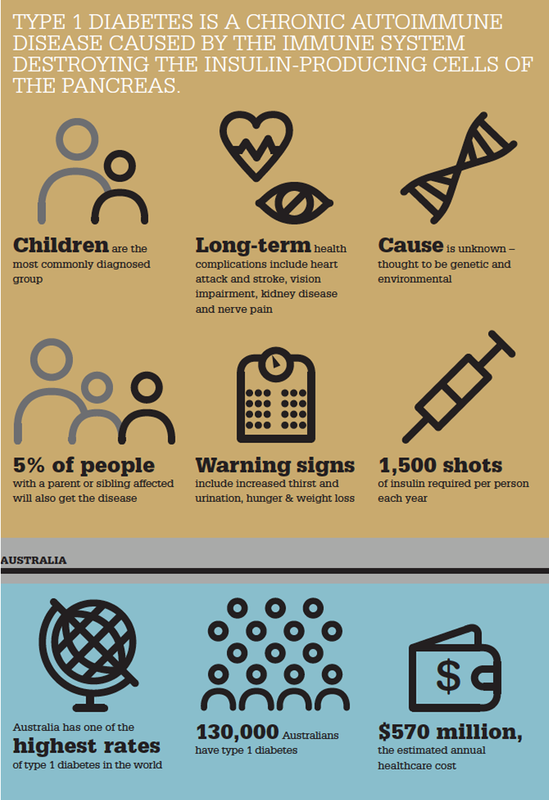 Around 140,000 Australians live with type 1 diabetes. Six new cases are diagnosed each day, many of them in children. The condition is difficult to control and as a result patients may suffer devastating consequences, including accelerated cardiovascular disease, kidney and eye problems, and even premature death. People with type 1 diabetes lack insulin, the hormone that regulates the body’s use of glucose. Insulin is produced by beta cells in the pancreas, which are contained within small clumps of cells called islets. In type 1 diabetes, beta cells are mistakenly attacked and destroyed by the body’s own immune system. Without the ability to produce insulin, people with type 1 diabetes are dependent on insulin injections to regulate their blood sugar levels. Researchers at SVI are dedicated to finding effective prevention and treatment strategies for type 1 diabetes. Research at SVI incorporates basic and clinical studies, using both mouse and human cells to study the causes and mechanisms of the disease, as well as exploring new treatment options. SVI is intimately involved in the Australian Islet Transplant Program, in which people with uncontrollable diabetes are transplanted with human islets. The Victorian arm of the Program, led by SVI, has resulted in 42 diabetic patients being receiving transplants to date.